Ulrick John was signed by the New England Patriots as an unrestricted free agent from Green Bay on April 24, 2018 ... Originally drafted by Indianapolis in the seventh round (232nd overall) of the 2014 NFL Draft ... Released by Indianapolis (9/5/15) ... Signed by Indianapolis to the practice squad (9/6/15) ...  Signed by Miami to the 53-man roster from the Indianapolis practice squad (11/2/15) ... Released by Miami (9/3/16) ... Signed by Miami to the practice squad (9/5/16) ... Signed by Arizona to the 53-man roster from the Miami practice squad (10/7/16) ... Released by Arizona (9/12/17) ... Signed by Arizona to the practice squad (9/14/17) ... Signed by Green Bay to the 53-man roster from the Arizona practice squad (9/26/17). Went to training camp with Arizona and initially made the 53-man roster out of training camp before being released on Sept. 12. Joined the Cardinals practice squad on Sept. 14 and was assigned by Green Bay to the 53-man roster on Sept. 26. Appeared in five games for the Packers along the offensive line as a reserve. Went to training camp with Miami and began the regular season on the Dolphins practice squad before being added to the Cardinals 53-man roster on Oct. 7. Started all three games he appeared in before suffering a season-ending injury. Was placed on injured reserve on Dec. 13. Was active but did not play in his first five games on the Arizona 53-man roster. Made his Cardinals debut in his first career start at right tackle at Atlanta (11/27). Part of an offensive line that helped the Cardinals run for a season-high 175 yards at Miami (12/11). Went to training camp with Indianapolis and began the regular season on the Colts practice squad before joining Miami’s 53-man roster on Nov. 2. Played in two regular-season games as a reserve. Was a healthy scratch for six games and dressed but did not play in another. Made his NFL debut as a reserve tackle at San Diego (12/20). Spent entire rookie season on injured reserve after suffering an injury during the preseason. Was a four-year letterman at Georgia State, starting 25-of-36 games in his career. Started 11 games at left tackle as a senior in 2013 and received honorable mention All-Sun Belt honors. Made 10 starts at left tackle as a junior. Appeared in 10 games with four starts at left tackle, guard and center as a sophomore. Played in four games as a true freshman during Georgia State’s inaugural football season. Attended Bradwell Institute (Hinesville, Ga.), where he was a first-team All-Savannah selection by the Savannah Morning News as a senior. Played center, defensive end and long snapper. Was a two-time first-team all-region choice. Also played basketball and baseball.